Anyang’ Nyongo’s fine-looking and beautiful daughter Lupita Nyong’o is a leading actress both locally and internationally having won several awards in her acting career including the most coveted Oscar awards. The multi-award winning actress is also known to be a fashion aficionado. 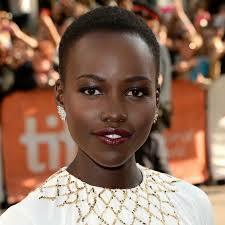 It seems like vogue runs in Lupita Nyongo’s family and that can be proved by her mom and sister. We can forgive his dad, Anyang’ Nyong’o for his dressing because, one, he is male, two, he a politician and so on and so forth. Let’s focus on the females who share the same blood with Lupita Nyong’o. 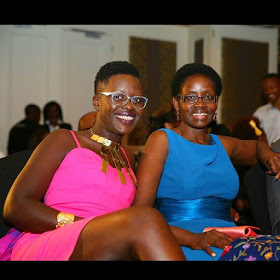 Recently, Lupita’s mother and sister were spotted at the luxurious and lavish Villa Rosa Kempinski hotel and their dressing was on point. 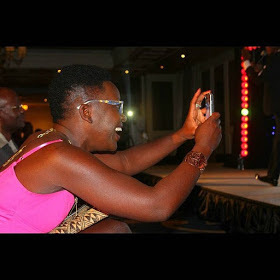 They had attended an event which was hosted by popular comedian Eric Omondi.